The Railroad Commission of Texas has posted a position for a Geoscientist - Groundwater Protection. The posting is on the RRC website. The Railroad Commission of Texas, recognized as a worldwide leader in the regulation of oil and gas exploration, seeks a Director of the Kilgore District Office to assist in the planning, development, and implementation of business operations in the Oil and Gas Division's Kilgore office. This position offers the opportunity to work with industry, other agencies, and the general public in developing oil and gas regulatory standards and best practices. Manage, evaluate, and supervise the professional, technical, and administrative personnel. Supervise and review work production, field assignments, inspections, and inspector reports. Draft correspondence to operators regarding Commission rule violations and initiate enforcement actions, as necessary. Draft, review, and implement technical manuals or presentations and communicate updates to staff. Recommend and implement training programs for field personnel. Review complaints filed within the District relating to oilfield operations. Conduct employee appraisals; develop personnel performance plans; and participate in the hiring process for new employees and recommend personnel actions as needed. Review existing business processes for improvement opportunities and implement necessary changes to meet strategic objectives and state/federal requirements. Provide leadership and mentoring to staff and identify professional development and training needs/opportunities. Coordinate the State-funded Well Plugging Program and the Site Remediation Program. Complete inspections and climb vertical ladders to a height of 16 feet to gauge tanks. Walk up to two miles in all types of weather to complete lease inspections. Carry a self-contained breathing apparatus for up to 30 minutes, if necessary, in working conditions. Travel up to 10%, for site visits or conducting business in Austin Office. Participate and complete additional assignments to maintain production workflow. Graduation from an accredited four-year college or university. Years of experience and education may be substituted for one another. B.S. in Engineering, Geology, Hydrology, or other sciences. Experience in the oil and gas industry, oil and gas regulatory functions, and Railroad Commission rules and procedures. Registration as a professional Engineer (PE) or Registered Professional Geologist (RPG). Demonstrated leadership experience and ability to both develop and motivate reports. Knowledge in the practices of public administration, management, and budget planning. Knowledge of the oil and gas regulatory functions and Railroad Commission rules and procedures. Extensive knowledge of the Railroad Commission regulations and the Oil and Gas industry. Advanced skills in analyzing and organizing information and devising solutions. Excellent and effective communications skills, both verbally and in writing. Skill in instructing, planning, supervising, and motivating others. Skill in forming and maintaining relationships with Commission staff, industry, and other state/federal oversight agencies. Proficient in the use of computers and Microsoft software. Experienced in the management of people, budgets, and business processes, while handling multiple priorities. Ability to present technical material to the industry, Commissioners, agency staff, and the general public, as required. Ability to drive a car or pickup; perform general maintenance on the vehicle; and make tire changes. Ability to work on tasks requiring meticulous attention to detail. Ability to work effectively on a team, both as a leader and as a member. Ability to work flexible hours, overtime, weekends, and on call duty. Must have visual acuity and the ability to discern colors. Skill in exercising logic and sound reasoning to identify the strengths and weaknesses of alternative solutions, conclusions, or approaches to problems. Skill in forming and maintaining positive and productive working relationships both internally and external to the Commission including with other state/public agencies, internal work teams, and state/federal oversight agencies. Skill in building and leading work teams, and managing and evaluating program and individual performance. Skill in the management of people, budgets, and business processes. Skill in handling multiple priorities efficiently. Skill in oral and written communication with the ability to present material to an audience. Skill in demonstrating attention to detail and accuracy of information. Ability to learn, understand, and interpret oil and gas policies and procedure. Ability to establish and maintain trust and credibility with management, colleagues and direct reports. Ability to manage business functions and department activities. Ability to establish goals and objectives and hold staff accountable. Ability to devise solutions to administrative problems. Ability to plan, assign, and supervise the work of others. Ability to maintain a professional demeanor in any situation. Ability to develop the talents of direct reports. Ability to reach high and low; open, close and retrieve files from file cabinets; and lift and/or carry up to 15 pounds. Small established oil & gas company is looking for an experienced Geologist to join its Fort Worth office. Will assist the Company with management of current assets and evaluate new investment opportunities within the current asset base and in new areas. Present assessment of opportunities for acquiring working interests in leased minerals and of outside operated AFE's. Identify opportunities to improve production from current non-op working interests and exploit additional pay zones. Collaborate with outside partners on exploitation strategy. Recommend new ideas and present evaluation of outside opportunities. Reports to President and Vice-President. Four year Bachelor's Degree in Geology required, Master's Degree a plus. 10+ years related broad experience in oil & gas geology. 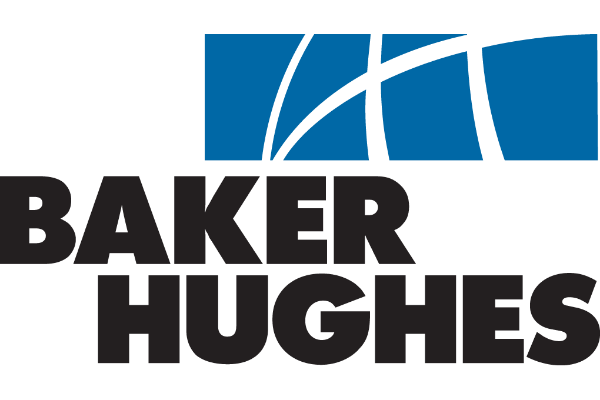 Northern Louisiana, East Texas, Oklahoma, offshore, Bakken and shale experience a plus. Excellent communication skills, including presentation and management experience. Proficient computer skills including Drilling Info and Petra experience. Self sufficient with the ability to see the big picture. If you are interested and possess the qualifications, please forward your resume immediately. Your information is CONFIDENTIAL. We will not forward it to anyone before discussing it with you. Contact Clark Conine at 972-628-6432 for more details. Established Oil and Gas Company focused on identifying resource plays and technology plays which will support the growth plans of the company through exploration, exploitation and acquisitions, is looking for a Senior Geologist to join their geoscience team in their Dallas, Texas area office. Candidate should be an experienced, proven professional who can handle moderately complex geologic assignments, develop new ideas with a moderate amount of direction, and supervise junior geologists and geo-techs. This person should be a fully qualified geologist who can manage a development project with minimal supervision. · Identify, evaluate and make recommendations for new opportunities. · Evaluate and make recommendations on outside prospect submittals. · Prepare depositional environment, stratigraphic, structural and net pay geologic maps. · Work with the senior geoscience staff to recommend and execute projects. · Bachelors degree or higher in Geology or related field. · 6+ years recent oil and gas industry related experience with some exploration experience in various basins. · Should have a broad knowledge of resources play evaluations and development. · Must have the desire to identify new opportunities and support these projects. · Should have geological experience in Texas and the surrounding area. · Ability to work within a team environment and possess strong communication skills. · Proficiency in standard office productivity software. Must have recent geologic software experience in Petra or GeoGraphix, recent experience in SMT a plus. · Should have presentation skills on a Play, Prospect and Project scale. · Proficient working knowledge of petroleum systems, well operations and log interpretations. · An understanding of risk analysis and new play economics will be required. · Must be able and proficient at creating maps, cross-sections and other needed displays. · Authorized to work in the U.S. for any employer without sponsorship. If you are interested and possess the qualifications, please forward your resume immediately. Your information is CONFIDENTIAL. We will not forward it to anyone before discussing it with you. We will get your information in front of the hiring managers ASAP! Or call Patrick Arens at 972-655-8023, for more information.